What is love? This is likely the question for the ages. Romantics use flowery words and poetic license to define and musicians give it meaning with catchy absolutes (i.e., “Do You Love Me?”). 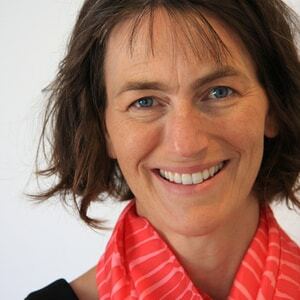 Psychologist, Barbara Fredrickson, studies love and a variety of other positive emotions like joy, inspiration, and pride, through the lens of social science, rooted in research studies, hypothesis, and data. Barbara L. Fredrickson, Ph.D. earned her undergraduate degree from Carleton College and her doctorate from Stanford University. Fredrickson is a leading scholar within social psychology, affective science (the study of emotion), and positive psychology. She has received more than 16 consecutive years of research funding from the National Institutes of Health, and her research and teaching have been recognized with numerous honors. 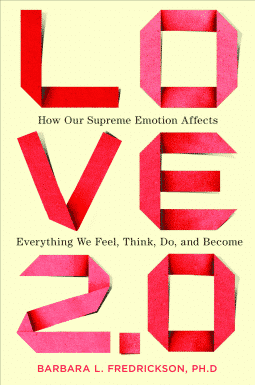 Fredrickson’s work on the study of positive emotions, like love, began in 1998. Her foundational research led to her to develop a theory on positive emotions called Broaden and Build Theory. The substance of this theory lies in the notion that positive emotions play an essential role in our survival. Positive emotions, like love, joy, and gratitude, promote new and creative actions, ideas, and social bonds. When people experience positive emotions, their minds broaden and they open up to new possibilities and ideas. At the same time, positive emotions help people build their personal well-being resources, ranging from physical resources, to intellectual resources, and social resources (Fredrickson 2009). The building part of this theory is tied into the findings that these resources are durable and can be drawn upon in later moments, in different emotional states, to maintain well-being. The theory also suggests that negative emotions serve the opposite function of positive ones. When threatened with negative emotions like anxiety, fear, frustration, or anger, the mind constricts and focuses in on the imposing threat (real or imagined), thus limiting one’s ability to be open to new ideas and build resources and relationships. Fredrickson draws on the imagery of the water lily to beautifully illustrate her theory: “Just as water lilies retract when sunlight fades, so do our minds when positivity fades” (Fredrickson 2009, p. 55). In her 2009 book, Positivity, Fredrickson’s research defines positivity and how it can transform people’s lives. At that time, research showed an approximate 3 to 1 ratio of positivity as being ideal in terms of high functioning teams, relationships, and marriages (this is sometimes referred to as the Losada Ratio). Fredrickson explains how experiencing positive emotions to negative emotions in this approximate ratio leads people to achieve optimal levels of well-being and resilience. This scientific discovery was groundbreaking in beginning the discussions on how a positive state of mind can enhance relationships, improve health, relieve depression, and broaden the mind. A 2013, a study conducted by Nicholas J. L. Brown, Alan D. Sokal, and Harris L. Friedman challenged the validity of the Losada ratio. Their concerns stemmed from an empirical viewpoint. They did not find issue with the idea that positive emotion is more likely to build resilience or that a higher positivity ratio is more beneficial than a lower one. They found issue in assigning applications of mathematics to pinpoint the “ideal” emotional ratio. (Brown, et al 2013). Fredrickson responded to the critique by agreeing that more study is likely necessary to designate a precise mathematical value/ratio, however, she does stand firm that her research has adequately proved that the benefit of a high positivity/negativity ratio is solid: “Science, at its best, self-corrects. We may now be witnessing such self-correction in action as mathematically precise statements about positivity ratios give way to heuristic statements such as “higher is better, within bounds.” (Fredrickson, 2013). The door is open for further scientific study and one can expect with time, more data will come. With such detailed and structured dialogue on positive emotion, the leap into love was inevitable. In 2013 Fredrickson released, Love 2.0. The book serves as a guide to learn how to increase opportunities to receive and provide moments of love. Fredrickson describes love, as being an emotion that, like all emotions, is momentary, not enduring and can be experienced in micro-moments. Love, through this lens, is not an emotion for just soul mates and/or family ties. Love 2.0 defines love as an emotion that can be shared several times a day with different people ranging from family members to strangers on the street. Fredrickson does find song lyrics, made popular by Louis Armstrong in the 1960s, that fit her theory, What a Wonderful World: “I see friends shaking hands….sayin’ ‘how do you do?’ / they’re really saying...’I love you’” (Fredrickson 2013, p. 17). Fredrickson’s definition includes the following criteria: “Love is a momentary upwelling of three tightly interwoven events: First, a sharing of one or more positive emotions between you and another; second, a synchrony between your and the other person’s biochemistry and behaviors; and third, a reflected motive to invest in each other’s well-being that brings mutual care” (Fredrickson 2013, p. 17). What is then created, when this criteria is met, is a moment of love. And when one finds another that they are able to share several such moments, bonds are created, loyalty is developed and enduring relationships created. The work of Fredrickson and her colleagues has had great impact on the science of happiness. Their study of positive emotions, specifically, “the big 10 emotions” – love, joy, gratitude, serenity, interest, hope, pride, amusement, inspiration and awe – has given life to many of the happiness habits. The habit of building and maintaining strong relationships is directly linked by the need to do so by self-disclosing to people you care about and cultivating positive emotions in mutual experiences with them. Linking the “caring” correlate to positive emotions is an easy undertaking. When providing care to others, the opportunity to develop and experience micro-moments of love is probable. This fact is clearly seen through separate research that suggests the caring habit of volunteerism, often creates just as much, if not more positive emotion, within the volunteer then in those receiving the support. Perhaps most closely connected would be Fredrickson’s study of the emotion of gratitude and how it is an integral component of the positive mindset happiness habit; “Gratitude opens your heart and carries the urge to give back – to do something good in return, either for the person who helped you or for someone else.” (Fredrickson, 2009, p. 41). Fredrickson continues her work as a Kenan Distinguished Professor at the University of North Carolina at Chapel Hill, with appointments in Psychology and the Kenan-Flagler School of Business. She is also Director of the Positive Emotions and Psychophysiology Laboratory (a.k.a., PEP Lab). Fredrickson, B. L. (2009). Positivity. New York, NY: Crown. Fredrickson, B. L. (2013). Love 2.0. New York, NY: Random House. Fredrickson, B. L. (2013). Positive emotions broaden and build. In P.Devine & A. Plant (Eds. ), Advances in experimental social psychology (Vol. 47, pp. 1–54). San Diego, CA: Academic Press. Fredrickson, B. L., Cohn, M. A., Coffey, K. A., Pek, J., & Finkel, S. M.(2008). Open hearts build lives: Positive emotions, induced through loving-kindness meditation, build consequential personal resources. Fredrickson, B. L., & Joiner, T. (2002). Positive emotions. In C. R. Snyder & S. J. Lopez (Eds. ), Handbook of positive psychology (pp. 120–134). New York, NY: Oxford University Press.